Somerset House has appointed a new head and deputy head of events. Emma Barrow has been promoted to head of events after covering former head of events Petra Bones’ sabbatical. 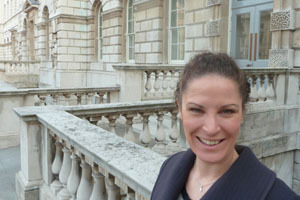 She will be responsible for the seven-strong event team, developing new initiatives to complement Somerset House’s current events portfolio. Sarah Wray joins the venue as deputy head of events, and was formerly event manager at The Barbican Centre for nine years. Barrow said: "Sarah comes armed with a wealth of industry knowledge and a great understanding of London’s events scene. Her input will be instrumental in driving the team forward in providing a treasured service to our ever expanding portfolio of creative events and conferences."